The court of public opinion is about to get tested by a new TV show, and a couple of Butler alumni will be part of the proceedings. 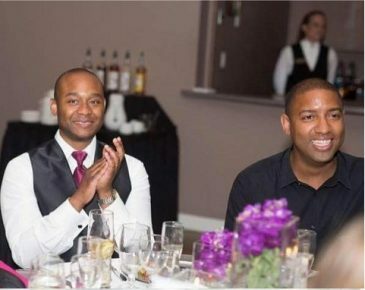 Brett McNeal ’08 and his fiancé Darvin Lewis will appear on the April 21 episode of You the Jury as plaintiffs in a case pitting them against the owner of a northern Indiana pizza restaurant who refused to serve gay patrons. Their friend Amanda DiMaio Livarchik ’08 will be a witness for their side. "Brett and I always joked over the years that our lives would make for great reality TV,” Livarchik said. “Little did we know we would one day end up on Fox." Fox News personality and former daytime judge Jeanine Pirro is host of the show, which features real civil court cases being argued by recognizable attorneys, with viewers voting on the verdict live as the show airs. Each episode focuses on a case concerning a current hot-button issue, such as online trolling, the limits of free speech, and the constitutional clash of gay rights with religious freedom. McNeal, who works in renewals for a local company, said he and Lewis will be watching the outcome at a public viewing party at Tini, a martini bar on Massachusetts Avenue in Indianapolis. In September, the United States Department of Education awarded more than $26 million in grants to develop and improve high-quality literacy programs in high-needs school. One of the largest awards went to a Butler alumna. 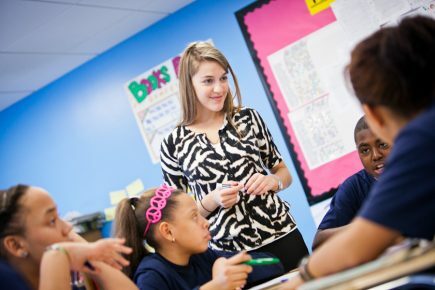 She left and began to teach in a charter school in Boston. 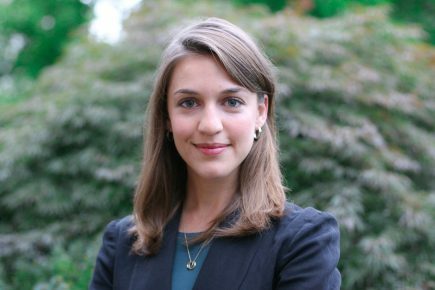 She noticed the vast differences in teaching tools between the two schools, and it pushed her to go to Harvard for her Master’s in Education Policy and Management. “It kind of made me angry that the resources that I had in Boston weren’t available to me in Mississippi,” Brown said. The idea for CommonLit formed when she told her Harvard academic advisor, Ronald Ferguson, that her plan was to write a book on literary instruction. She started with the curriculum itself around three years ago, never dreaming of what it could accomplish. Today, CommonLit is reaching over 12,000 schools nationwide and gains more than 3,000 new users every day. CommonLit has professional high-performing teachers who create all of the lessons on the site, which include new articles, poems, short stories, and historical documents. The works themselves are donated by authors and publishers that support CommonLit’s mission of improving literacy for vulnerable populations. “We have contact partners, non-profit, that give us permission to integrate their writing into our collection,” she said. With the money from the federal grant, Brown said she wants to focus on hiring new people and making the website more visible—not only to places that don’t usually have access to these resources, but to people who may have a disability that makes the website hard to understand. CommonLit, run by Michelle (Skinner) Brown '09, aims to close the "literacy gap." 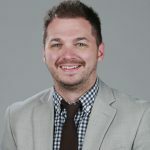 Aaron Hurt ’08, the Director of Operations for the Butler Arts Center, has been selected as one of the International Association of Venue Managers Foundation (IAVM)’s 30 Under 30, which recognizes emerging leaders in the venue-management industry. Hurt has been in event and venue management since 2009 with a variety of venues and ensembles and has worked with artists including Marvin Hamlisch, Sylvia McNair, Josh Radnor, and Allen Toussaint. In addition to working for the Arts Center, he teaches a seminar on Venue Management for Butler’s Arts Administration program. The 30 Under 30 Class of 2016 will convene at VenueConnect, IAVM’s annual conference and trade show, July 23-26, in Minneapolis. They will also be provided opportunities for continued education for professional growth in the venue industry to help them become better, more productive employees. Award recipients receive full complimentary registration to the conference, an $850 travel stipend, and a one-year complimentary Young Professional IAVM Membership. They also will be recognized at the Venue Industry Awards Luncheon at VenueConnect on Monday, July 25. The Butler Arts Center includes Clowes Memorial Hall, the Schrott Center for the Arts, Eidson-Duckwall Recital Hall, and the Black Box Theatre in Lilly Hall. the International Association of Venue Managers Foundation (IAVM)’s 30 Under 30. Zotec Partners announced on August 14 that it will continue a multi-year sponsorship agreement with Butler University’s Athletics Department that allows the company's logo to be displayed alongside the University’s logo on the Hinkle Fieldhouse court. 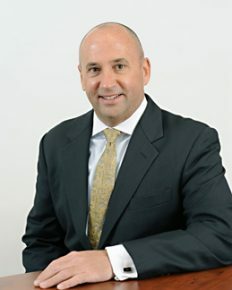 T. Scott Law, President and CEO of Zotec Partners, notes that the sponsorship, which began in 2011, means much more than just advertising the Zotec Partners brand. “To us, it is a symbol of our Butler pride and support for the Indianapolis community at large, which is home to 350 Zotec employees,” he said. For more than eight decades, Hinkle Fieldhouse has upheld a reputation as one of the nation’s great sports arenas. The classic facility was constructed in 1928 and has withstood the test of time, maintaining the splendor, character, and atmosphere that made it one of the nation’s most famous basketball arenas in a state that is practically synonymous with the sport. Today, Butler men’s basketball, women’s basketball, and volleyball teams play their home games at Hinkle. In addition to supporting Butler Athletics, Zotec has a long relationship with the Lacy School of Business through the Zotec Business Competition, a competition for sophomore business students involved in the Real Business Experience (RBE) practicum course. Butler Alumnus and Zotec Founder and CEO Scott Law Proud for his Company to Support Student-Athletes.